Oklahoma Connection | Saunders moved with his parents to Sand Springs, Oklahoma in 1905. Once, an oilfield foreman reluctantly telephoned J.B. Saunders to report that “we’ve drilled five holes, and we’re down about two miles in the sixth and got nothing. What shall I do?” J. B. calmly replied, “Stay in the saddle and take ‘er down another 2,000 feet.” They hit oil at 14,000 feet! Joseph Benjamin Saunders, Jr. was born in Texas and is best known to Oklahoma as the past president of the National Cowboy and Western Heritage Museum. A graduate of Sand Springs High School, he attended the University of Missouri and the Chillicothe Business College and went to work for Imperial Refineries in Ardmore. He was a pioneer in developing Triangle Refineries, Inc. in 1937 and several of his innovations for the refining process have been adopted around the world. 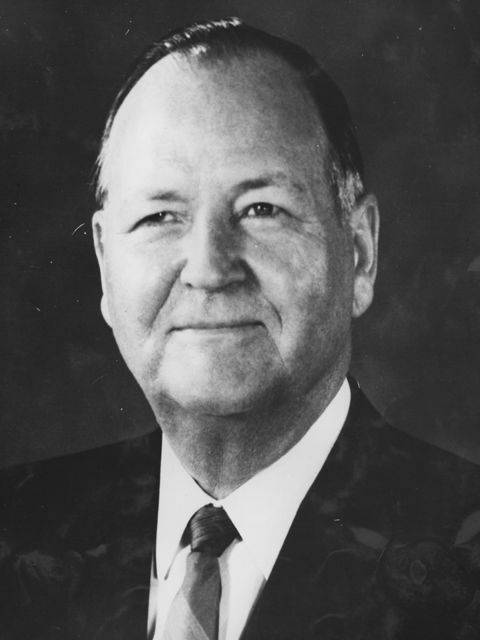 His company later became part of the expanding Oil Industries, and Saunders eventually became vice chairman and senior vice president at Kerr-McGee. He also spearheaded a drive in the 1970s to help establish the Oklahoma Symphony Orchestra. See pictures of Joseph B. Saunders and other media HERE.